I have been really itching to make a pillow. Since our church congregation is having a little auction next weekend to help the youth raise money for camp, it seemed like the perfect excuse. I loved that we did this when we lived in LA (you can find my past contributions here and here) and am excited that they are starting it up here. This was inspired by Elizabeth Hartman's pillow that she made using the center block of her Aviatrix medallion. The pillow is 20" square. I expected the piecing to be finicky and annoying, but other than having to re-do a few seams it actually wasn't too bad. 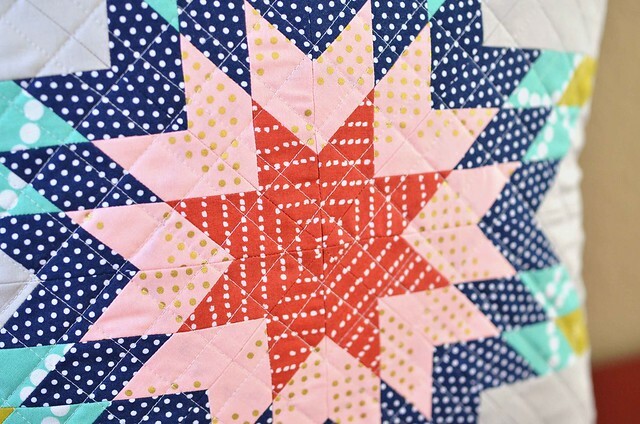 I don't know if I would want to make an entire quilt of these blocks, but it was a fun project for a pillow. 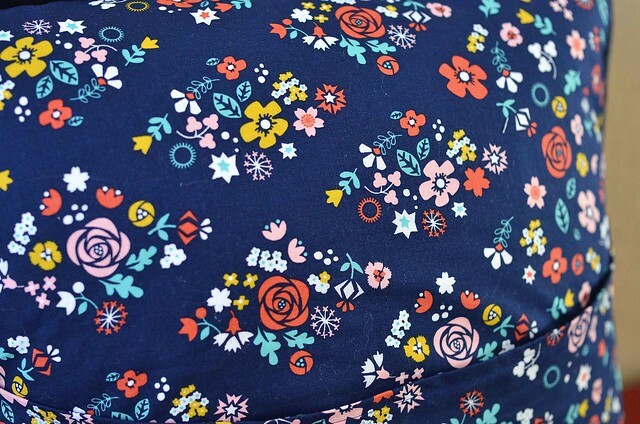 The colors were pulled right from my favorite Tsuru print, Blossom Festival, which I used on the back. I love this print SO MUCH! Rashida Coleman Hale is a genius. I finished the pillow with an envelope closure (because I didn't have a zipper long enough, oops) and I bound the edges of the pillow. Making this pillow really makes me want to make new covers for all of my throw pillows, especially because I just got Jen Kingwell's new book and it has some amazing pillow projects. I definitely see more pillows in the near future. This looks fantastic. I too just bought Jen's book and just love it. I agree I love every single one of her collections! Your pillow is gorgeous! Nice one! Love how you grid quilted it! I never would've thought of that but it looks so great! I absolutely LOVE this pillow and the colors in it! This should be a hit for the auction! I am OBSESSED with pillows, so the more pillows I have at any time means I am just that much happier! Lovely pillow! 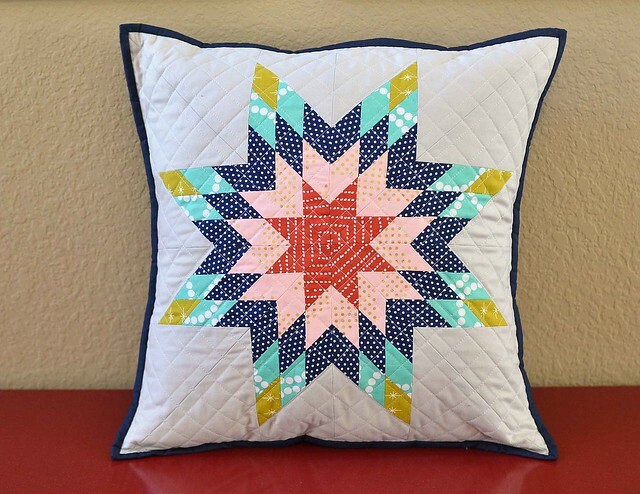 I think it's a wonderful idea to use a potentially finicky pattern like this for a pillow (or other small project) instead of a full sized quilt.